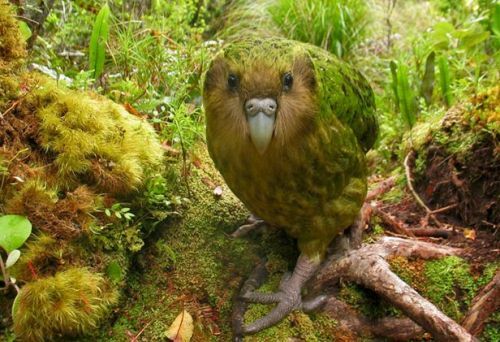 Have you seen kakapo before? The parrot has some unique traits. It has vibrissa like feathers, unique facial sensory disc, yellow-green plumage, large feet, short legs, a large grey beak, and a long tail. As I have stated before, kakapo is the only flightless parrot in the world. Talking about the weight, it also takes the record as the heaviest parrot. The male parental care is not presented in the life of a kakapo. The basal metabolic rate of this parrot is very low. It is also a herbivorous animal. Check facts about dodo birds here. The Maori people also consider kakapo as an important bird just like the other bird species in New Zealand. 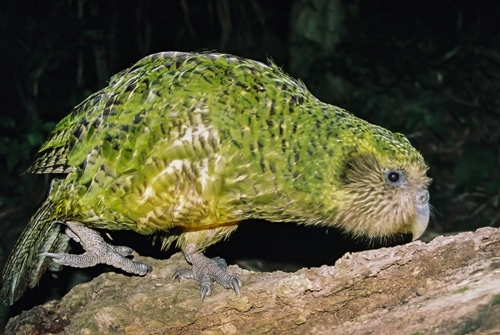 Kakapo has been featured in various folklore and traditional legends of Maori. The indigenous people used kakapo as a resource. The feathers of kakapo were used to create different types of clothes. The meat was eaten as a food source. 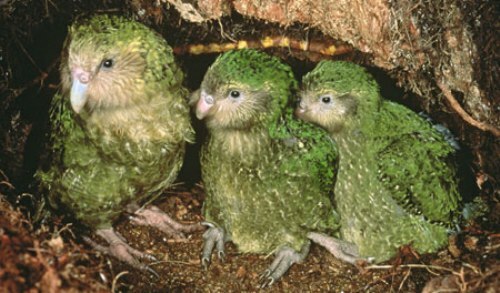 Some people also had kakapo as a pet. Kakapo has the status as the critically endangered species. 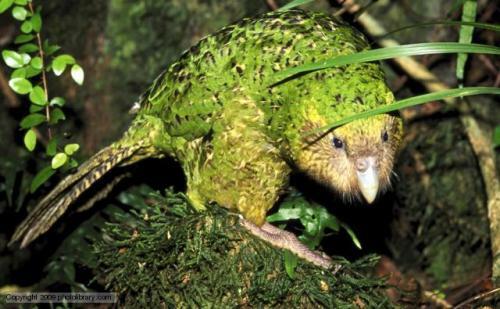 The Kakapo Recovery programme reported that it only had 123 living individuals in 2011. The population was reduced significantly because of the introduction of various predators such as stoats, rats, ferrets and cats during the Polynesian and European colonization. Check facts about kiwi birds here. In 1890s, the conservation to relieve kakapo started. But it was failed. 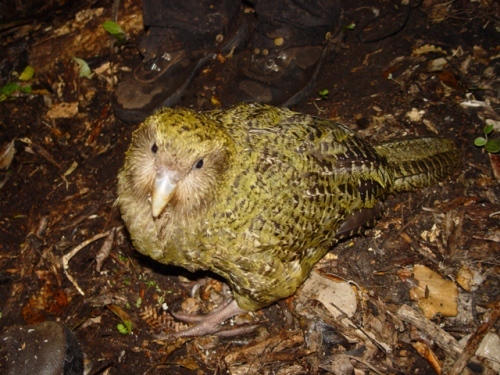 In 1980s, there was kakapo recovery plan conducted. The living kakapos have been kept on Codfish, Anchor and Little Barrier Islands as of April 2012 because the islands are free from predators. The adult kakapo has the weight around 2 until 9 lb. The length reaches 23 to 25 inches. Do you like reading facts about the kakapo?